Dear Starbucks, I am a real mermaid, not just a graphic on a plastic cup. As an ocean protection activist, environmental attorney and surf lover, I spend a lot of time at the beach and in the ocean. I want you to know that your "Green" Straws, plastic stirrers and mermaid cups are some of the most commonly found at the beach, contributing greatly to the plastic pollution crisis. Last week I met up with a dear friend and Rutgers University marine biologist who was visiting my hometown. We met at Starbucks. 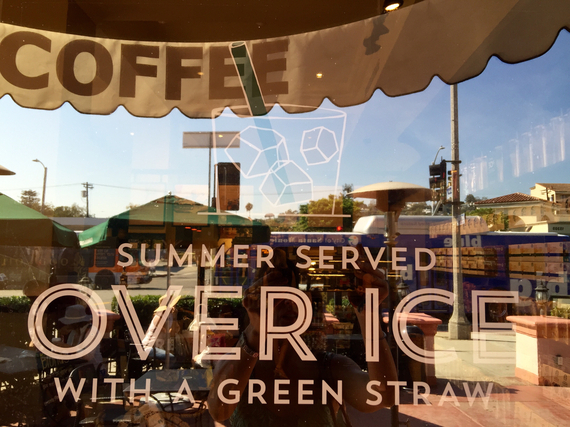 Here is the vision that greeted us upon entering my local Starbucks. 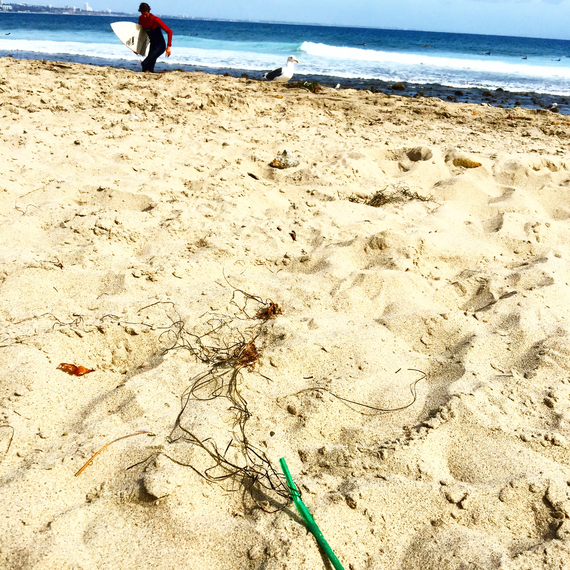 Plastic straws and stirrers are the Number 7 most common item found on beaches worldwide on International Coastal Cleanup day, the single largest volunteer effort on the planet and source of valuable data for what ails our seas. 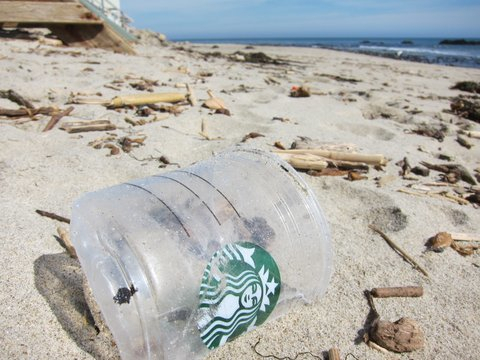 Starbucks is undeniably one of the greatest sources of those straws and stirrers, along with plastic cups which come in at Number 5 most polluting and plastic lids at Number 3 most polluting. Not something to brag about, but to change. Why not be truly green and replace those plastic, nonrecyclable, everlasting straws with paper ones and only offer upon request? Most adults are fully capable of drinking without a straw. Why not ask customers if they would prefer to enjoy their coffee from a real cup if they are planning to stay? Starbucks customers who stay and enjoy their drinks in the cafe are served in to-go cups with plastic lids unless they specifically request a ceramic cup, as I do. Single use plastics never biodegrade and are destroying our ocean ecosystem and infiltrating our food chain. This mermaid does not like plastic in my seafood. Yesterday, I went to Topanga State Beach to watch my son surf. There on the beach, I found the green straw you promote on the door of my local Starbucks in the first image of this blog. Here is the green straw, now tangled up in seaweed. Have you checked out the video of a straw being pulled out of an endangered sea turtle's nose? Your straws, plastic cups and green plastic stirrers are everywhere on the beach and washing into the oceans, endangering countless creatures, including 90% of all seabirds. Mermaid logo? How ironic.